MONROE, La., April 3, 2018 /PRNewswire/ -- It is hard to protect against unseen threats. As cybercrime continues to grow as a profitable shadow industry, actionable threat intelligence has never been more important to effective cybersecurity. To help enterprises predict, protect and respond to evolving cyber threats, CenturyLink, Inc. (NYSE: CTL) is announcing expanded visibility into the global threat landscape. Following the integration of networks from its acquisition of Level 3, CenturyLink now monitors over 114 billion NetFlow sessions and 1.3 billion security events per day, responding to and mitigating roughly 120 DDoS attacks per day and removing approximately 35 command and control (C2) networks per month. This heightened visibility enables customers to better anticipate and protect against threats. "We're seeing an explosion in global cybercrime," said Chris Richter, vice president of Global Security Services for CenturyLink. "Bad actors are motivated, organized and adaptable. To defend themselves, businesses need threat intelligence with the scope, the depth and the relevance for enterprises to take the necessary steps to protect themelves now and in the future." Enhanced threat awareness feeds into the company's comprehensive portfolio of security services, including Adaptive Threat Intelligence, a cloud-based solution offering customers customized threat intelligence and alerting backed by CenturyLink's global IP backbone. 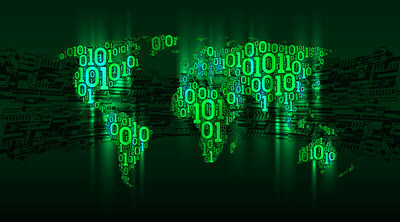 CenturyLink Threat Research Labs leverages the company's expansive view of the global threatscape to make continuous improvements to its Adaptive Threat Intelligence machine learning algorithms and verification techniques for improved threat scoring and custom threat sets, allowing enterprises to stay abreast of new and evolving threats. Adaptive Threat Intelligence includes enhancements such as the ability to identify traffic originating from anonymous proxy networks, as well as improved threat scoring, fidelity and classifications for web hosting and CDN providers associated with potentially malicious IP addresses. These features provide enterprises with actionable insight to bolster their cyber defenses. With its new map visualization tool, Adaptive Threat Intelligence provides customers a functional view of threats specific to their organizations, making it easier to quickly identify threats.